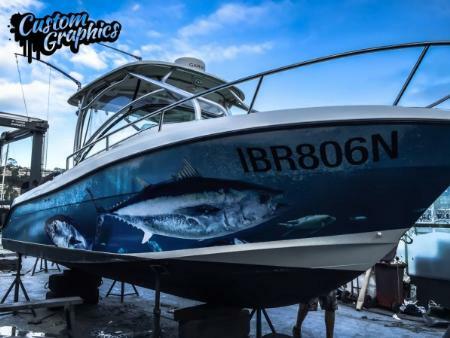 Looking For Custom Boat Wraps? Originally, with changing the colour or applying a graphic to a boat, gel-coating or spray painting were the only ways. Costs are high and the boat will be out of commission for quite a while as the new finish cures. But with Custom Graphics we use Vinyl Wrap for Boats (yes, wraps are waterproof).